The iPhone 5 will be rolling out face recognition technology. The iPhone 5 will be able to recognize its owners face, and this greatly increases the potential of future apps. The iPhone 5 will be Smart and Brainy, this means you can ask your iPhone the phone number for a nearby restaurant or taxi service. The iPhone 5 will be shipping with NFC technology, the kind used with Google’s Android’s Nexus S, this will greatly increase speed and data transfer rates between two devices. The iPhone 5 will have a new larger hard drive, with sizes being offered up to 64 GB and the iPhone 5 will come with a brand new fast 1.2 Ghz dual core processor. 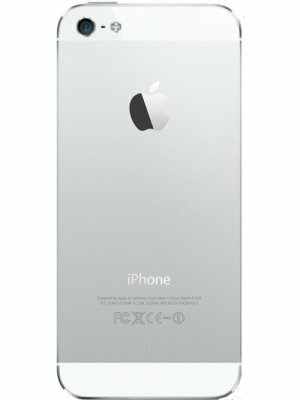 It will feature a new advanced antenna for better connectivity, and will work out the problems the iPhone 4 had. The iPhone 5 will contain a new battery that has 7 more hours of life than the iPhone 4. The iPhone 5 will feature a brand new camera, expected to capture video in HD at 720p, the length of each recording is suspected to last 25 to 30 seconds. The screen size of the iPhone 5 will be a bit larger than its predecessor. Apple will be redesigning the screen to make the borders more sensitive. The home button will be larger. Apple is expected to release three versions of the iPhone 5. The standard version, a second version which will contain a physical sliding QWERTY keyboard and then a mini version. The mini version will have a much smaller screen, fewer of the features but will have a lower price than the standard or second version. Specs of the mini version are currently unknown. With all these new features, the iPhone 5 looks to be sizing up quite nicely and appears to be something worth waiting for. However, we must wait until June 2011 for it to be released. At the latest, we may have to wait until September 2011.